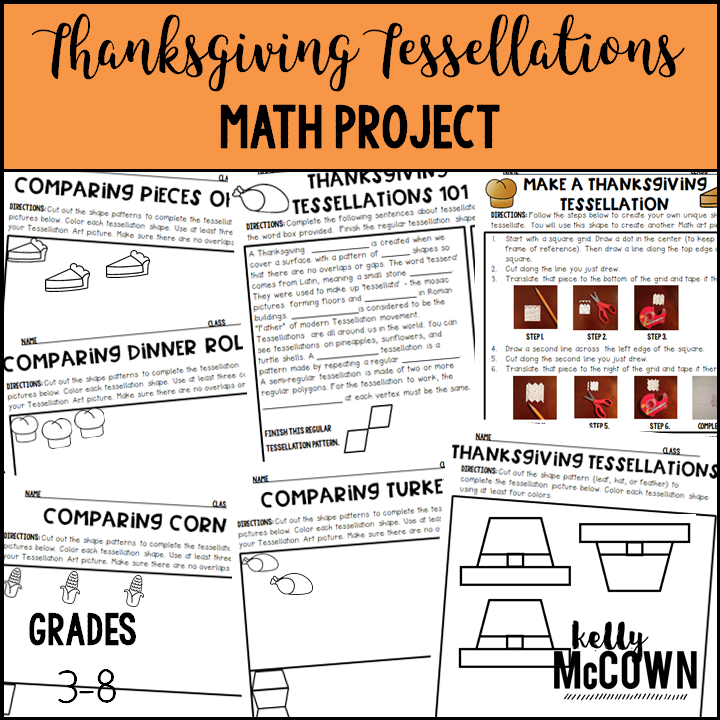 Are you planning for Thanksgiving math activities? Do you want your students to try a fun geometry activity? Are you looking for a project students can create with math? 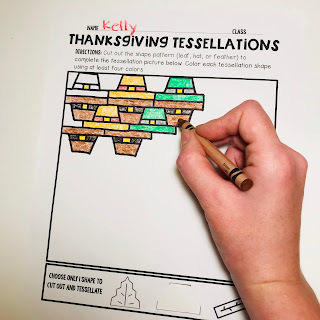 This Thanksgiving Tessellations NO PREP Math Project is a great END OF NOVEMBER activity for students! This packet teaches students about tessellation history, how to make and use tessellations, and how to create beautiful art with shapes. Use this packet for bellwork, classwork, extra credit, fast finishers, or homework. 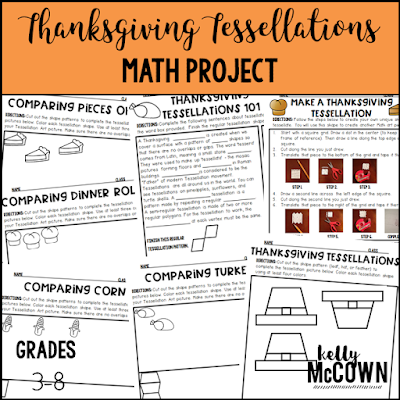 -Great Thanksgiving Project to complete in any Math class! 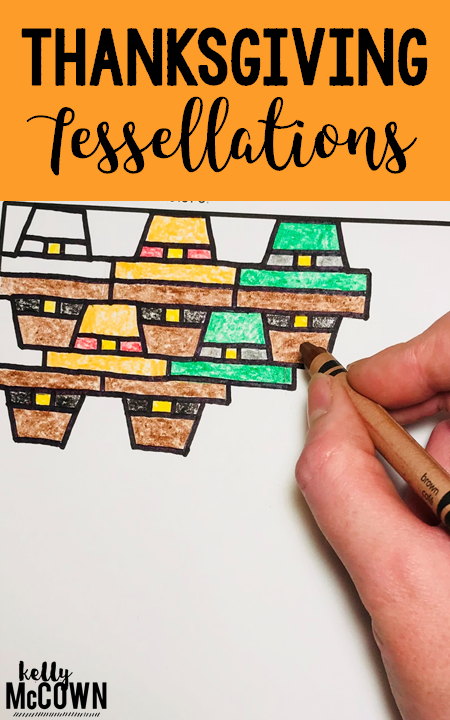 I hope these Tessellations are a success in your classroom too. Students love creating Art through Math and making sense of the Geometry involved.